Dangal is Aamir Khan staring upcoming movie. The new poster os this movie is released. This is the much awaited Bollywood movie. The tag line of the poster is amzing "Mhaari chhoriyaan chhoron se kum hain ke?" 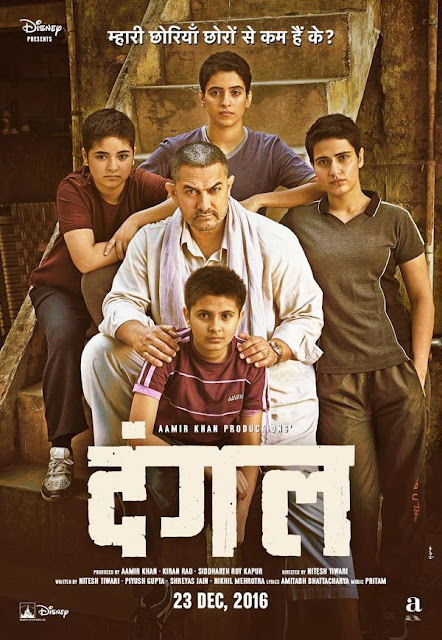 Dangal is directed by Nitesh Tiwari and Produced by Aamir Khan. The movie story is based on Famous Indian wrestler and Olympics coach Mahavir Singh Phogat who taught wrestling to his two daughters Babita Kumari and Geeta Phogat. This movie is going to release on date 23 December 2016.